The PADI Tec Instructor Course qualifies you to teach the PADI Tec 40 course. If you have not done the Tec 45 diver level course you will need to this first unless you have a qualifying cert from another training agency. Requirements to Qualify as a Tec Instructor through a DSAT Tec Instructor Training Course with Easy Divers in Cyprus. Be a PADI Enriched Air Diver or have a qualifying certification from another training organization. 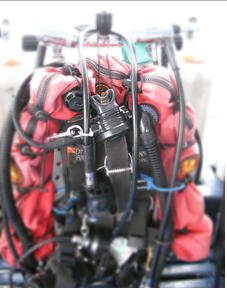 For this program, a qualifying certification is proof of certification in enriched air nitrox diving with training that includes gas analysis, cylinder labeling, oxygen toxicity, oxygen exposure. maximum depth limits and planning enriched air dives with different enriched air blends (not just EANx32 and EANx36). Have successfully completed the Tec Instructor Exam. When One Tank is Not Enough, Think Technical! Technical diving is a growing market in Cyprus and the demand for qualified PADI TecRec Instructors continues to increase. If you’re a PADI Professional who is into tec diving and want to join the tec pro ranks, earning a Tec Instructor rating is the first step! If you’ve got special expertise, you can be authorized as a TecRec Specialty Instructor to offer distinctive specialty courses in technical diving. For example, some approved distinctive specialty courses include Cave Diver, Advanced Wreck Diver and Technical Rescue Diver. 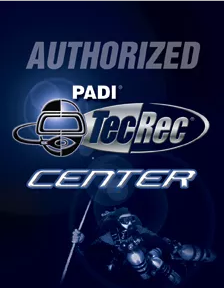 As a TecRec Instructor, you’ll teach active divers the techniques for diving beyond recreational limits, using specialized equipment to manage the potential hazards of deeper depths, extended durations or long distances in overhead environments such as wrecks and caves. Keep in mind that most TecRec Instructor ratings require you to take an instructor training course from a qualified TecRec Instructor Trainer.